UNITAR and UN Environment will deliver the 2nd edition of the PAGE e-course ‘Green Economy and Trade’ (in English) between 13 March – 21 April 2017. The course introduces various concepts, policy instruments and enabling conditions to identify, assess and harness benefits of sustainable trade in the context of the 2030 Development Agenda. Fellowships are available to enable interested learners from developing countries to take part. The application deadline for fellowships is 20 February. 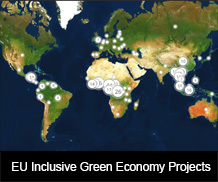 Further information can be found at the registration link (https://www.unitar.org/event/full-catalog/green-economy-and-trade-0) or in the flyer (http://tinyurl.com/z6ke9z2).